65 Million to 1.6 Million years ago Many mammals developed including primitive whales, rodents, cats, and rhinos appeared. The apes were primarily quadrupedal, or four-footed. 2 Million to 4 Million years ago The hominids appeared: A hominid is any of the two-legged primates. Australopithecus is an extinct genus of hominids. The name means "Southern Ape". The Australopithecus is the earliest species of Australopithecus, and lived in eastern Africa. Its brain was about the same size as a chimpanzee. Australopithecus africanus meaning the "southern ape of Africa"
Australopithecus robustus meaning the "robust southern ape"
Australopithecus boisei deriving from a name meaning means "East Africa man"
2 Million years ago Homo habilis, an upright East African hominid having some advanced humanlike characteristics developed from the Australopithecus. Homo habilis is considered to be the oldest human-like species of Homo. The term "erectus" refers to the upright posture. 350,000 years ago to present day Homo Sapiens: The term "Homo sapiens" means "wise human being". 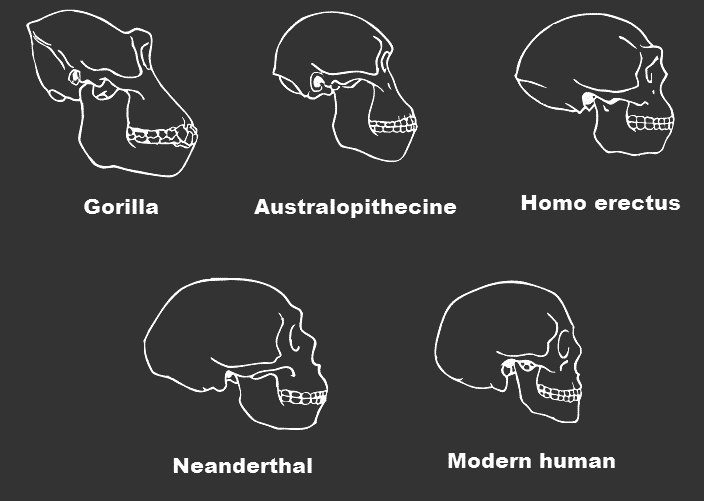 The first Homo Sapiens had a heavier build and were stronger than modern humans. Homo Sapiens were the first prehistoric people to inhabit large areas of Europe, Asia and Australia. They were the 'hunter gatherers'. The first Homo Sapiens appeared in America much later. History Timelines of Events provide fast facts and information about natural events in history, such as those detailed in the Timeline of Humans, precipitated a significant change in World history. Each major historical period is arranged in the Timeline of Humans by chronological, or date order, providing details of the changes during that time. 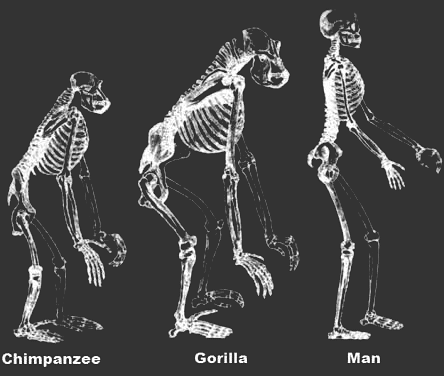 The process of evolution or change in the development of humans. Critical stages in the evolution and development of humans on earth. The great changes in the development of life on earth. 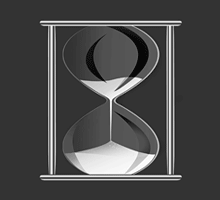 The Timeline of Humans timeline provides fast information that highlights the key dates and major changes to human life in a fast information format. Specific information can be seen at a glance with concise and accurate details of great evolution changes and significance. The changes over the evolution of thousands of years in the Timeline of Humans.